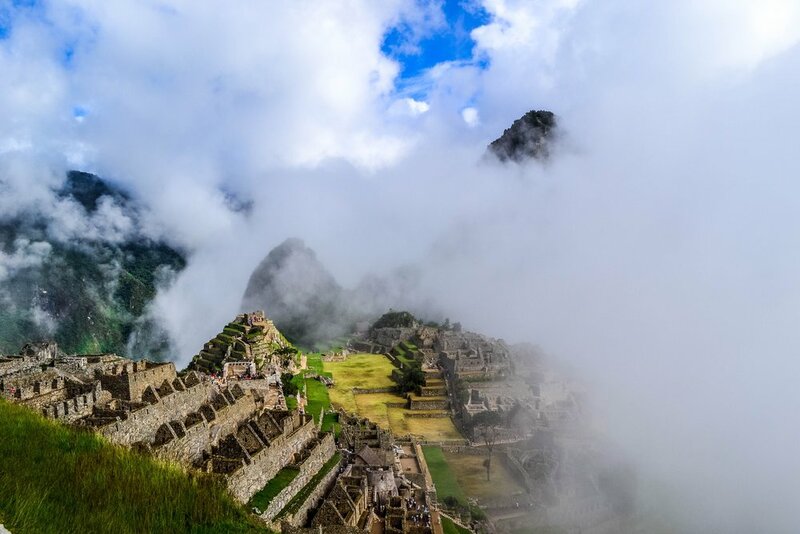 Naturally a visit to Machu Picchu is at the top of everyone’s list when visiting Peru and there are of course many, many companies offering tours. That’s why at Vicuña Adventures we like to offer itineraries that are a little different from our competitors, tours that allow our customers to get just that little bit closer to the true Peru, and the real spirit of our ancestors. This exciting 4 day itinerary is definitely no exception! This 4 day itinerary begins with a full day city tour of Cusco, taking in not only the most important sites in and around the city but also visiting the bustling local market of San Pedro. Day Two takes us deep into the Sacred Valley where we will have an opportunity to see local artisans working their craft, as well as visiting the visually stunning ruins at Moray and the fascinating salt mines at Maras. Day three is all about Machu Picchu! Starting with the spectacular sunrise over the Andes we make our very own pilgrimage to the Sacred Citadel, where our expert guide will provide fascinating 2-3 hour tour of the site. The final day of this tour is in some ways our favourite, as it is an opportunity to really give our customers an authentic local experience. As well as visiting some of the most spectacular ruins in the area, we will also visit a thriving local market and spend time at a working farm where we will enjoy a picnic lunch with the family, surrounded by the best views that the Sacred Valley has to offer! We arrange all tickets and transfers, your hotel on Day 2 and meals where indicated. So you really can sit back, relax and enjoy the ride! Collecting you after breakfast from your hotel, we will drive to visit the Inca ruins at Ollantaytambo. Once the lodging of the Inca emperor Pachacutec it later served as a military checkpoint for the Incas trying to protect the roads to Machu Picchu from the invading Spaniards. Our guide will take you on a tour of the terraced ruins, fountains and aqueducts as well as the storage houses that were used by the Incas to maximize winds to keep their crops cool and preserved. We will then have time to wander the streets of one of the oldest towns in Peru, where many 15th century Inca buildings still stand today before driving 20 minutes to the town of Yanahuara where we will visit a working farm. Touring the farm lands with the farmer and our guide you will cut Alfalfa to feed the guinea pigs, and see first hand how Chicha (corn beer) is made. After such a busy morning we will enjoy a picnic lunch together with the family, sat outside overlooking the Sacred Valley. After lunch , we visit the authentic locals market in Urubamba. Here we will see families selling an eclectic mix of fruits, vegetables, flowers and natural medicinal plants. If you’ve never visited a South American market before, then the variety of smells from the many different types of food, the noise of the market sellers bartering with their customers, and the vibrant, vivid colours are a real attack on the senses! In the capable hands of your guide, you will have a tour of the market and even have the opportunity to sample some unusual Peruvian fruits such as Lucma, Chirimoya and Passion Fruit. You will also get a lesson on the ingredients involved in making Chicha, a corn beer that has been an important part of Peruvian culture since Inca times. Then we will drive for an hour to the majestic ruins at Pisac where we will visit the spectacular terraced Inca ruins that are situated high above the valley floor. We will climb to the top of the ruins for amazing views of the Sacred Valley, and here your guide will teach you about the religious, astronomical and military functions of the site and the terraces that allowed the Incas to grow food at altitudes above 11,000 feet! After visiting the ruins, there will be a chance to hike on a little known, seldom used original Inca trail and through a tunnel that was built by the Incas. One of the largest surviving Inca cemeteries is also located in the ruins at Pisac and we will also tour this part of the site. Pisac is perhaps most famous for its lively artisan handicrafts market in the main square, and this last stop on our tour gives us the perfect opportunity to mingle with the local people and maybe buy some authentic local souvenirs before taking the private transfer to your hotel in Cusco.